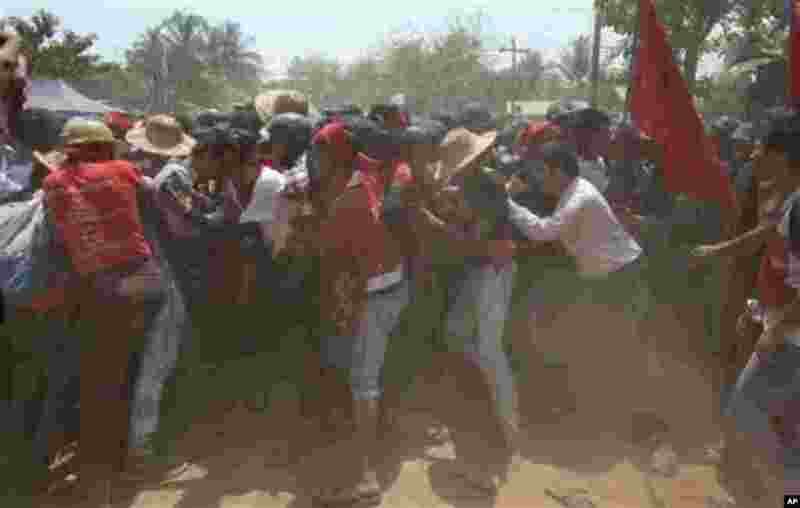 Riot police in Myanmar attacked student protesters on Tuesday, ending their attempt -- at least for now -- to march to Yangon to protest against an education bill they say stifles academic freedom. 1 Student protesters carry a colleague who fainted during a protest in Letpadan, Myanmar, March 10, 2015. 2 Student protesters struggle with riot police to remove a barricade installed by police during a protest in Letpadan, Myanmar, March 10, 2015. 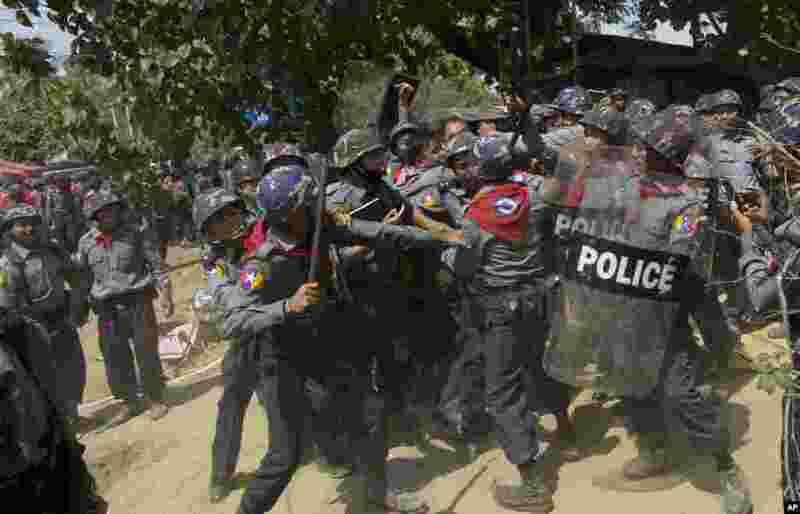 3 Police officers beat a student protester during a crackdown in Letpadan, Myanmar, March 10, 2015. 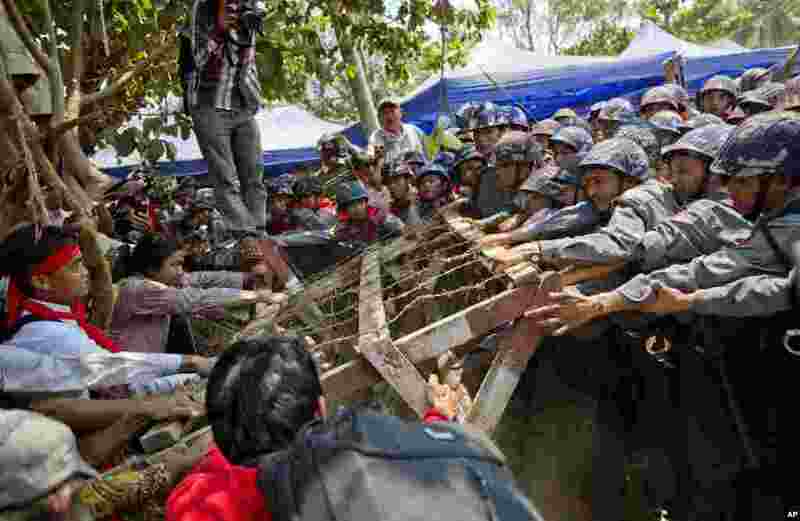 4 Student protesters struggle to break a police blockage during a student protest in Letpadan, Myanmar, March 10, 2015.